Vaccine-preventable diseases are surging in Venezuela, according to new research presented at the 2019 European Congress of Clinical Microbiology & Infectious Diseases. Moreover, Venezuela’s crumbling healthcare infrastructure is now more typical of a ‘conflict-zone’. 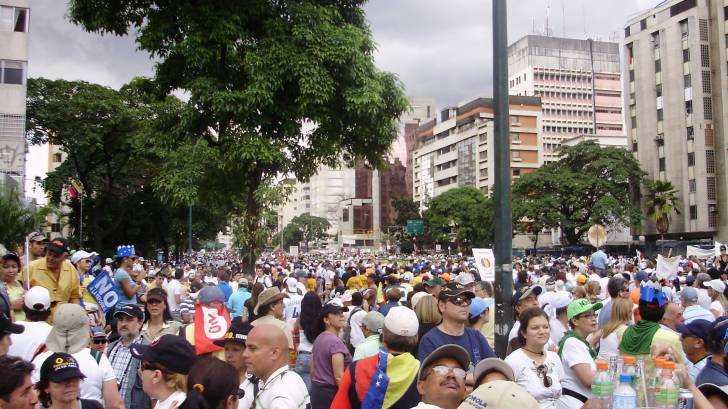 As an example, emigrating individuals with infectious diseases may be unknowingly causing a spill-over of diseases beyond Venezuela's boundaries. In Venezuela, the circulation of wild measles, polio, and diphtheria had not been reported in over 10 years. This new study provides new data on the ongoing epidemics of measles and diphtheria in the Americas. Measles: Measles cases from Venezuela have been reported in Brazil, Colombia, Ecuador, and Peru. The report provides data taken over a 16-month period (June 2017-October 2018) during which time a total of 7,524 suspected measles cases have been reported in Venezuela. Of these, 5,525 were confirmed representing 68% (5,525/8,091) of measles cases in the Americas reported, and also the most deaths from measles (73/85). Diphtheria: From January 2016 to October 2018, a total of 2,170 diphtheria cases have been reported to date with a lethality rate of 22%. In 2018, 96% (806/838) of diphtheria cases in the Americas region originate from Venezuela. Estimates suggest this could mean 3 million vulnerable Venezuelan children are now-exposed to this disease that should long have been consigned to the past. Polio: Although polio has not yet been reported in Venezuela, estimates indicate that vaccination coverage against polio has slipped from 87% in 2015 to less than 79% in 2017, thus establishing the conditions for the potential emergence of vaccine-derived polioviruses. The authors believe it is only a matter of time before this disease, eliminated from the Americas in 1971, will make a comeback. To alert international travelers to Venezuela's health crisis, the USA, Canada, and the United Kingdom governments have issued Level 4 Travel Advisories. These travel advisories advise against visiting Venezuela. Additionally, the US Centers for Disease Control and Prevention issued a Level 3 Travel Alert on May 15, 2019, which identifies various diseases a visitor to Venezuela should be protected from with vaccines or medications. And, the CDC recommends all travelers consider typhoid, hepatitis A and yellow fever vaccines, and take prescribed medicine with them to prevent malaria. International travelers can easily request a vaccination appointment at Vax-Before-Travel. The study is by Dr. Adriana Tami (University Medical Center Groningen, Netherlands, and University of Carabobo, Venezuela) and Dr. Alberto Paniz-Mondolfi (IDB Biomedical Research Institute, Barquisimeto, Venezuela), and colleagues. These researchers conclude by saying, “Failure of timely action may bring a tsunami of new cases, not only in Venezuela but also in other countries in the Americas."